The Monte Python with Crystals Bracelet has a touch of color running throughout the bracelet. 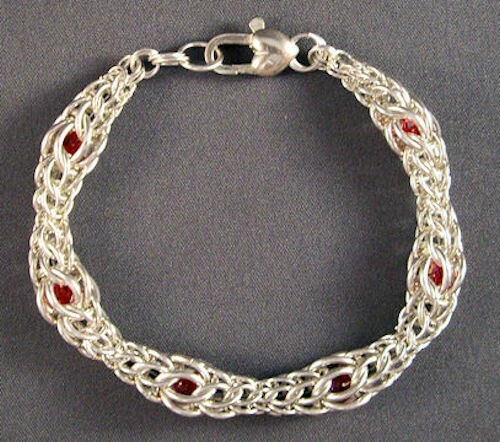 It is a variation of the Monte Python Bracelet. It is fun to make and comfortable to wear. The bracelet utilizes some bead stringing techniques. This is an intermediate weave. The clasp and crystals are not included in the kit.